Eliminate the need to create and manage your own centralized process repository by saving your models directly in the cloud. Work together with your colleagues who can review the process models from anywhere on any device and provide real time feedback. With centrally documented process models, employees can easily learn those processes, improving compliance with your policies and procedures. Help Visit our free, comprehensive user guide to help you maximize the value of Bizagi process modeling. Modeler Forum Share ideas, ask questions, report issues and discuss BPM best practice with our thriving expert community. Video Tutorials We've collected our most popular 'how to' videos to help you master Bizagi process modeling. 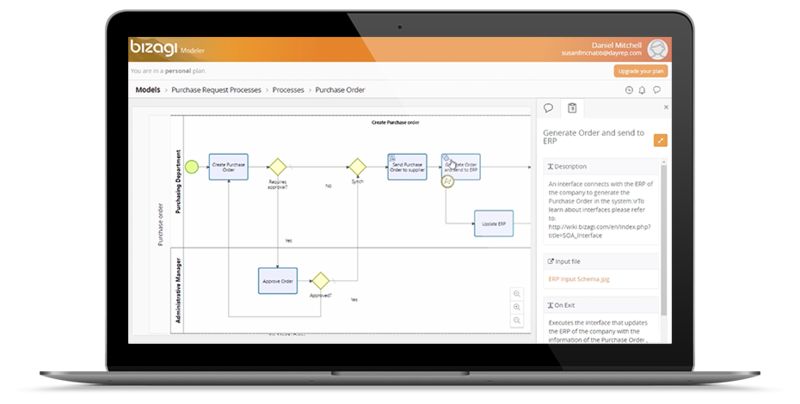 Process Xchange Get a head start on process modeling with our ready-made process maps. Share your models and reuse what the community already created for you. Modeler Services Professional and Workgroup run on the public cloud available in three different regions, America, Europe and Asia. When the service is first set up Modeler determines the appropriate region to run from based on the requestors location. The models, and any associated documentation and data, will stay within that region for the duration of the subscription. With Workgroup, the region is determined by the location of each member of the subscription, ensuring each individual’s models and data stay within their region for the duration of the subscription. For Enterprise the service is only available as a single-tenant environment, stored in a location of the customer’s choice, and where models and data are isolated from other organisations subscriptions. Modeler Services is a Software as a Service (SaaS) environment backed by Microsoft Azure. Designed for individuals, Personal offers standard cloud-based storage and simple publishing of process models. Designed for individuals, Professional offers premium cloud storage, publishing to SharePoint, custom logo, offline work and includes premium support. Aimed at cohorts of process designers and stakeholders, offering team collaboration through contextual discussions and transparent working of process models. You can activate a 30-day Trial plan. 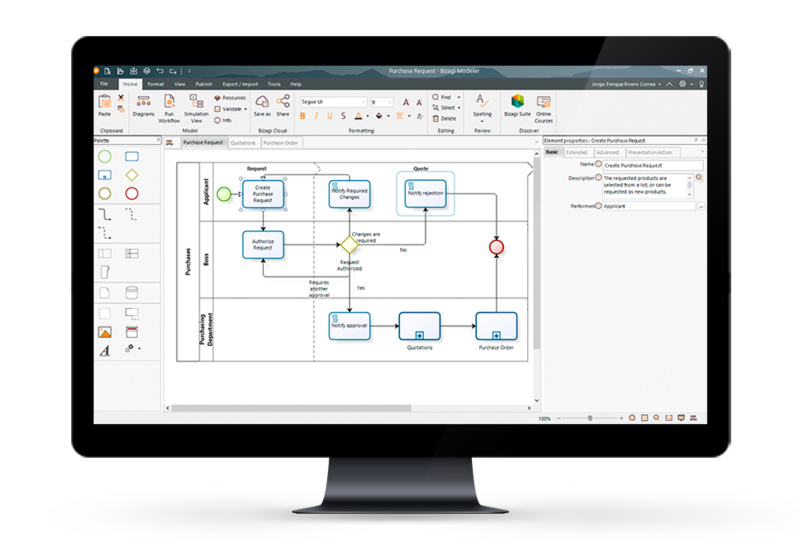 Aimed at organizations, designed for secure enterprise process  modeling through publishing, visualization and governance.